"You Are Just Minutes Away From Larger Clickbank Affiliate Commissions!" 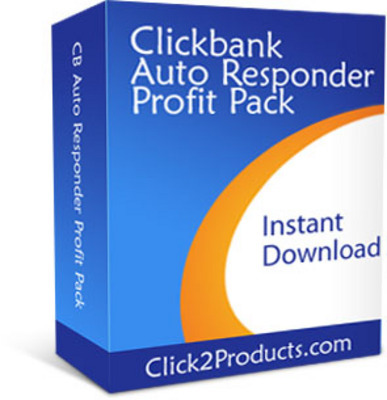 "These Clickbank Message Sets, Just For Clickbank Affiliates, Creates Attentive and Receptive Readers Ready To Click and Buy and Puts Your Marketing On Autopilot. In Just 5 Minutes* They Are Ready To Generate More Sales For You Automatically!" Well, you're not alone... 97 of my subscribers and customers that I have spoken to over the years have a good grasp on how to setup a squeeze page and get decent traffic but when it comes time to selecting, extracting benefits from a sales page and writing killer response-pulling copy, they are less sure of themselves. The fact is, people ACT on your messages because they are drawn into your words/thoughts and, even if they do not accept them 100, they do not want to give up a potential advantage by continuing to read your message. But as we all know... sending a single message gets some sales, but over 60 of the real profits come from the 'follow-ups'. So I created 2 additional messages for each product being promoted, using a specific and proven successful method, that helps close even more sales for you automatically. If you outsourced this high-level copywriting it would cost you a minimum of $25 or more per message! Minimum. You'd be forced to pay well over $4,500.00 for just these 180 messages alone! If you hired a copywriter (if you can even find one with the expertise for this type of project) it would cost you a minimum of $25 per message ($75 for each set) and then I doubt you would get messages crafted for maximum response like I've put into these messages. Look, I won't kid you... creating this kind of high-response copy is a bear to write. They take a boat-load of time to research, strategize and conceive. If you have struggled writing your own messages that get attention and action and haven't done as well as you expected then you're going to appreciate how much time, effort and money I am saving you. Remember, if you had to hire an expert by outsourcing these ClickBank Affiliate Message Sets it would cost you a small fortune...if you could even find someone qualified to write them! You get the entire Clickbank Message Set for just $9.7!